Hudsons Coffee is an Australian coffee shop chain that has some great gluten free options. 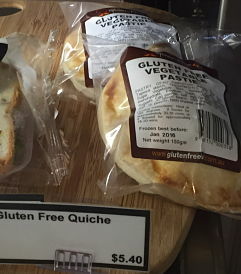 They are conveniently located in places that are often so difficult for coeliacs needing a quick meal such as at airports and hospitals, as well as in city centres and some regional areas in all Australian states and Territories. I first noticed the offerings at Melbourne and Adelaide airports and then more recently at Epworth Hopsital in Richmond (Vic) when it was fantastic to be able to get a safe lunch when I was unexpectedly visiting at the hospital. Click links for more information on Sydney airport and Melbourne airport. I have happily eaten the sandwiches straight from the packet, but if you you prefer gluten free bread toasted you can also ask to have this done (using toastie bags). 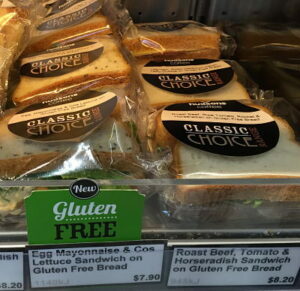 They are all separately wrapped so safe from cross contamination and easy to just grab on the go if you are catching a plane or just heading back to the office. 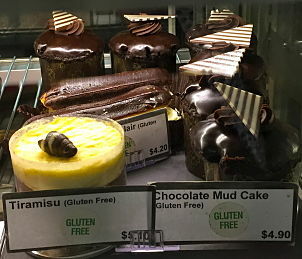 In Melbourne, I have noticed they have pasties and sweet treats from the amazing gluten free bakery Gluten Free 4U, so I expect the other states have similar relationships. 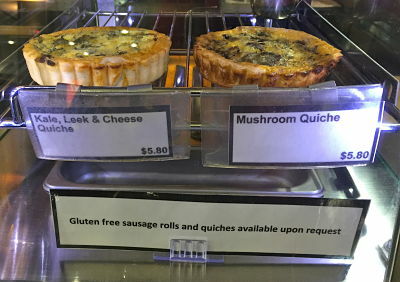 At Melbourne airport (domestic arrivals) I saw a sign saying gluten free sausage rolls and quiches were available, and pasties were an option at Epworth hospital. 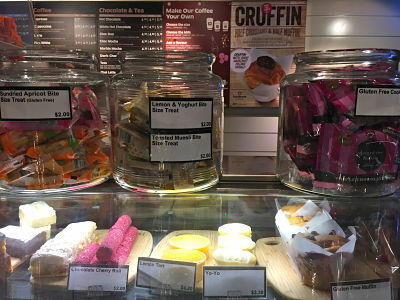 If you have a sweet tooth, I have seen pre-packed biscuits in jars (Epworth), or fresh cakes (Melbourne Airport domestic departures). 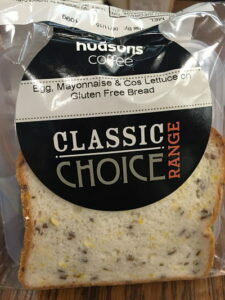 For locations, please check their website: Hudsons Coffee.